Microtek’s Bio-5000 Plus is a two-platform scanner specifically designed for the professionals who focus on scanning and studying of biological electrophoresis gels. It is equipped with an optical CCD whose resolution is up to 4800 dpi and the range, between 0.05 and 3.77D, of the optical density provides you a smarter way to capture differences among each layer of scanned electrophoresis gels. With a built-in Auto-Focus function, Bio-5000 Plus is capable of shifting the focal length to the best position automatically; thus you can get images with top quality. By the design of twin scan-bed, it is quite convenient to put your Bio-5000 Plus in operation and lowers the risks of mutual infection in experimentation. Therefore, Bio-5000 Plus is the best choice of scanning electrophoresis gels. Wet gels can be scanned in refelctive or tramsissive light. 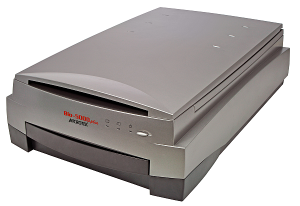 The scanner is integrated in LabImage and optimized for use in Part 11 compliant environments because it loads the image data directly from the scanner and therefore does not require temporary and unsafe storage. The complete process of the evaluation is thus documented in an audit trail. The Microtek Bio-5000 system and LabImage 1D Part 11 is one of the few available system on the market with seamless integration for the 21 CFR Part 11 compliant gel / blot analysis. The scanner supports both RGB and 16 Bit greyscale images. It can be calibrated out of LabImage. The following link shows a typical workflow of 21 CFR Part 11 in LabImage 1D.